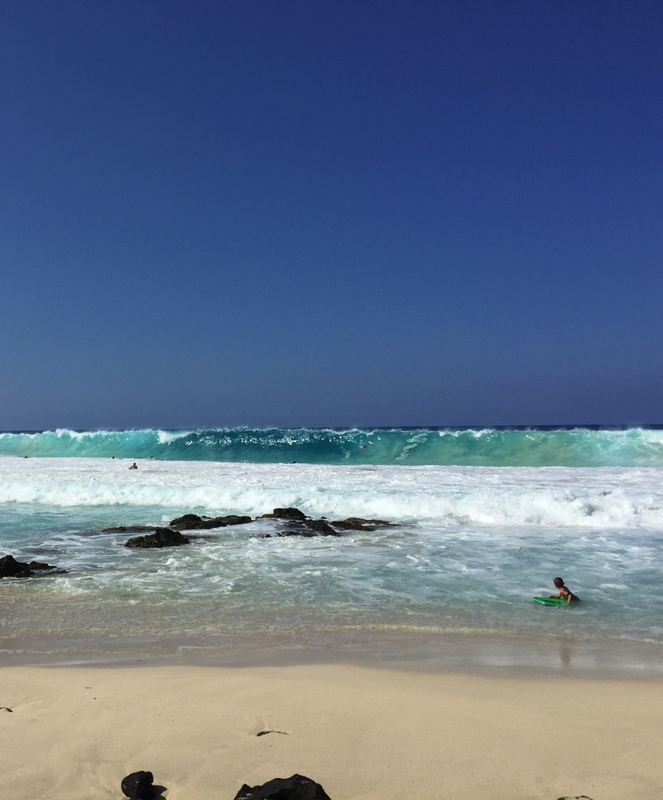 Winter in Hawaii is filled with hustle and bustle. Tourists come from all over the globe to hike the rain forests, clink umbrella drinks, and slather themselves with Banana Boat on the beach. But tourists aren’t the only ones coming to the islands in swells. Each year from about December to May, the islands are graced with hundreds of humpback whales that migrate from Alaska for warmer waters to calve and nurse their young. During these months, whales can be seen spouting, playing, and breaching out of the water as if they’re on a Hawaiian holiday themselves. You can even hear them communicating to one another underwater miles away. There’s no other word for it but magic. 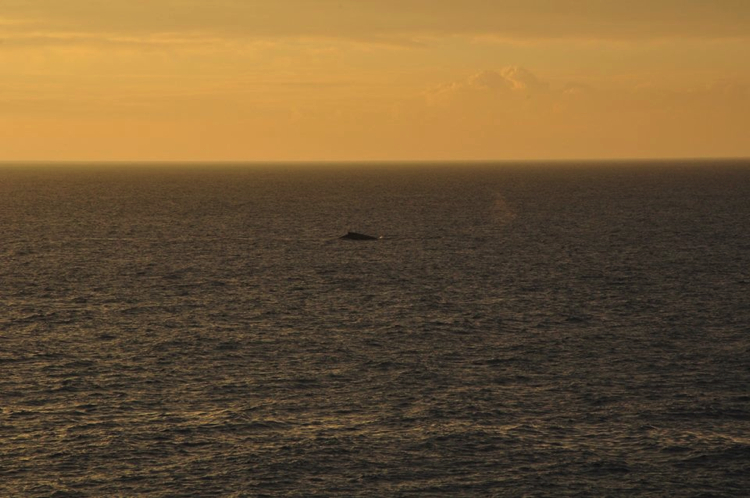 If you’re looking to spot some whales, taking a whale watch tour is definitely an option, but by no means necessary. 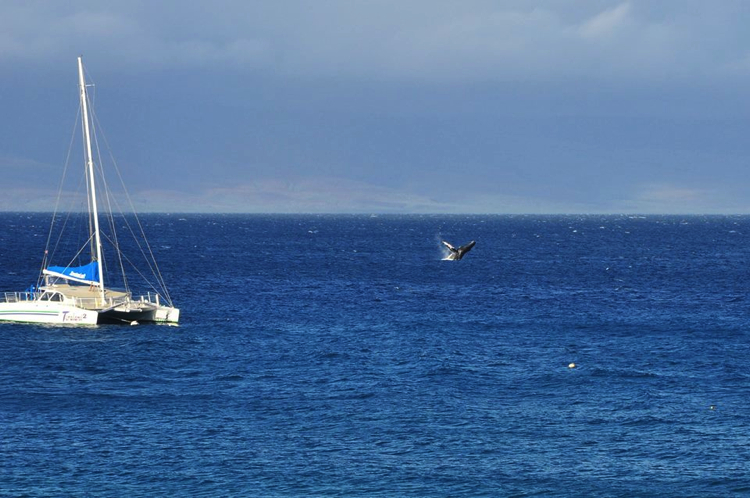 You can easily spot whales just about anywhere along the Kohala Coast, just be patient. 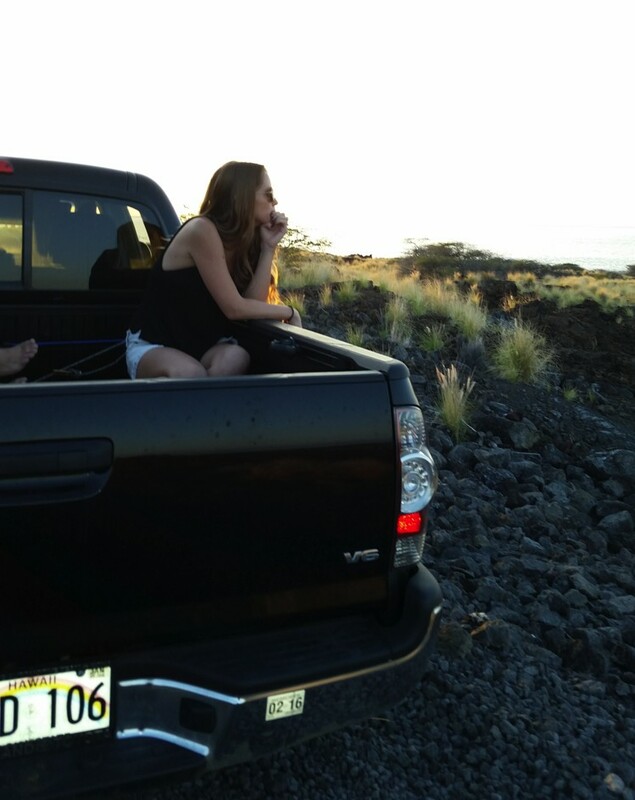 One of my favorite spots is the road into Kua Bay, or if you’re feeling a little adventurous, up the Pu’u Ku’ili Cinder Cone which is part of Kekaha Kai State Park. Just remember to bring water and wear your hiking shoes! This is also an amazing spot anytime of year to watch the sunset. Some other great spots for whale sightings are the Pololu Valley Lookout, or the Waipio Valley lookout. These are great locations for whale watching because you’re up high, and have a better view of the ocean from up above. While those spots have their benefits, that doesn’t mean you won’t be able to see a whale breach just from sitting on the beach. Scan the horizon, be patient, and let Mother Nature show you the rest. While the tourists and whales are making themselves at home during the winter months, ocean swells are also known to increase. The Big Island isn’t known for getting big waves most of the time, leaving many surfers itching for swells. 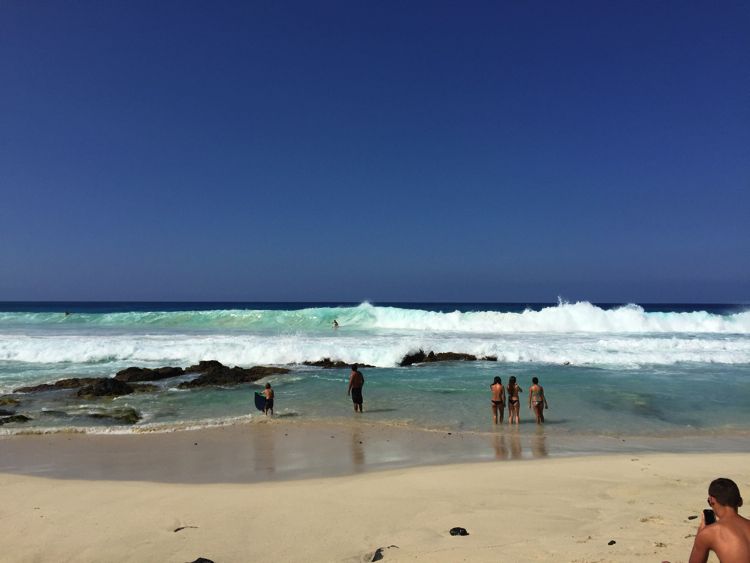 But just a few days ago, a high surf report brought waves between 15 and 20 feet, which damaged many Big Island beaches, homes, and businesses. A popular downtown beach is appropriately named Magic Sands, due to it’s disappearing sand when heavy swells come in and wash it away. One day you could be sitting with your bum in the sand, and the next there is exposed lava rock as far as the eye can see. With heavy swells, means stronger currents. It’s so important to stay safe, even if you’re an experienced swimmer or surfer. It’s common to see surfers and body boarders thrashing and splashing – they make it look effortless! But know your comfort zone, and remember that the ocean is powerful. Ocean currents can take hold in an instant, bringing you under or crashing you onto rocks. Winter in Hawaii is state of flux and motion. But with a little patience and respect, all will be swell.